Many dog owners take issue with their canines companions' constant digging. But one unlucky labrador-mix might have the same complaint about humans -- having fallen into the largest man-made hole on the planet. 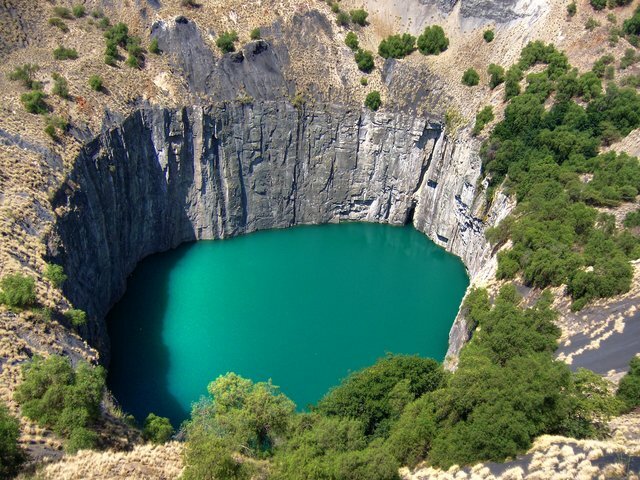 On Saturday, rescuers worked for 15 hours to rescued the dog which had been trapped at the bottom of Big Hole, a 650-foot-deep former mine in Kimberley, South Africa. The animal is believed to have slipped over the edge 8 days prior after entering through breach in the parameter fence. A local search and rescue unit, along with members of the fire brigade and SPCA, led the rescue operation. After the possibility of using a helicopter was ruled out, officer John Seeley volunteered to repel into the giant pit -- but once he got there, the traumatized animal swam tried to swim away in the small lake at the bottom. Seeley, risking his own safety, pursued and was able to eventually bring the dog to safety. "My love for dogs kept me going even when I wanted to give up. The dedication of the rescue team and the support of members of the public made it all possible. What is important is that everyone is safe and the dog is in good health. I hope that she finds a good home," Seeley told IOL News. 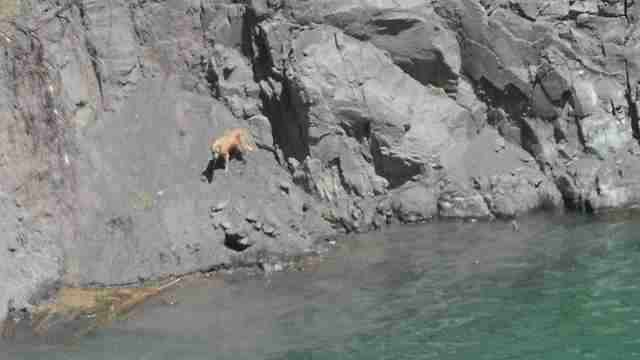 Amazingly, despite the fall and subsequent stranding, the dog wasn't seriously injured. Veterinarians say that the dog is in surprisingly good health overall, better than they'd expect to see in a stray; still, no one has claimed ownership. "She sat on my lap and other than being extremely tired, she is in perfect health. Even if I don't adopt her because I have four other dogs and cats at home, I hope that she remains in Kimberley so that I can visit her regularly."